Although Volkswagen has been in the SUV business for a number of years now with its compact Tiguan and the mid-sized Touareg, up to now they haven’t had an entry in the hot, seven-passenger SUV segment (nor have they had an SUV with a name which is easily pronounceable to most of the American car-buying public). 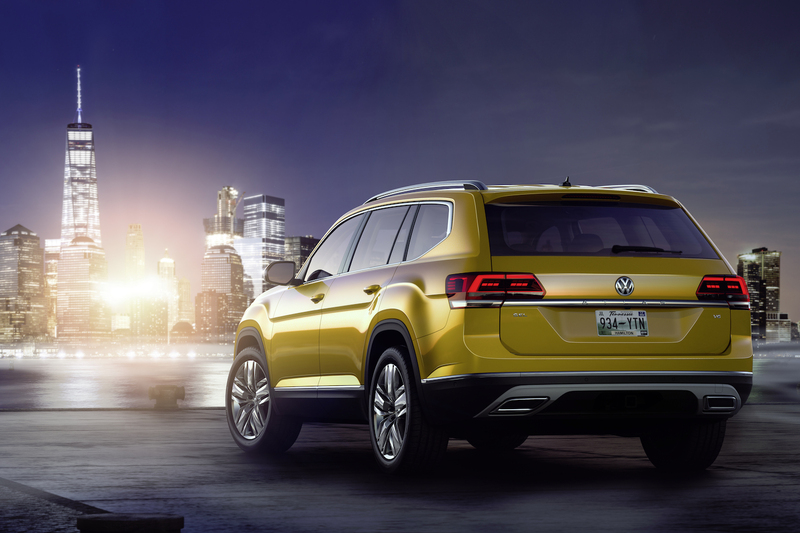 That all changed a couple of weekends ago when VW unveiled its new Atlas on the Santa Monica pier at the end of historic Route 66. 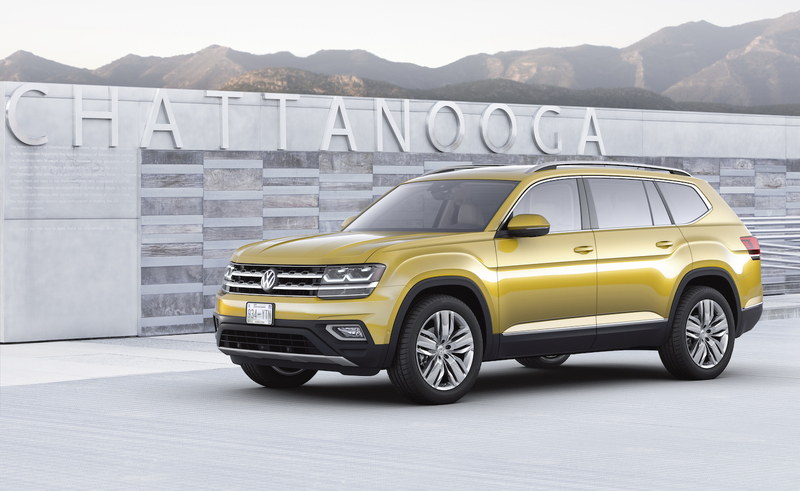 The Atlas will be built in VW’s Chattanooga, Tennessee plant and will be the biggest Volkswagen ever built in America, about ten inches longer than the Touareg. Styling is very VW SUV-ish, which is to say quite handsome, and its somewhat rectangular shape should translate to a goodly amount of interior space (almost 97 cu. ft. with the seats folded down). The third row is said to be easily reached via an innovative folding seat solution — one that allows second-row child seats to remain in place while folding/unfolding the third row. Power will come from one of two engines: a 2.0L, 238-hp turbocharged four will be standard, while a 3.6L, 289-hp V6 will be the optional choice. Both will be connected to an eight-speed automatic transmission. All four-cylinder models will be front-wheel-drive, while the V6 models will also offer the choice of VW’s 4Motion all-wheel-drive system. …as well as high-end audio (a Fender Premium Audio System), and technology compatible with the three major smartphone systems (Apple CarPlay, Android Auto, and MirrorLink). The new Atlas will be available in five trim levels which Volkswagen tells us will be competitively priced. EPA gas mileage estimates should be announced before the Atlas’ launch next spring.